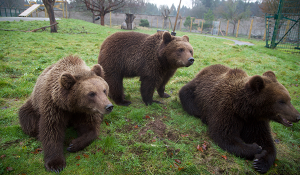 Camperdown Wildlife Centre now has three new European Brown Bears cubs to see during your visit. The three bears, Brumm, Maja and Brumma, are young siblings who arrived from Kolmarden Zoo in Sweden at the centre in late November. The young bears were brought to Camperdown after keepers carefully considered the wellbeing of the older female bear, Star, who lost her long term companion, Comet, of 30 years in August last year. "They are all great characters and have settled in very comfortably to life at Camperdown. They have also been a great source of amusement for our female bear Star, who has been eagerly watching their young antics, foraging around, climbing in the trees and on their newly installed high wooden platforms." "All four bears have been interacting and getting used to one another over the past few weeks. They are slowly being introduced together on a one-to one basis to make sure that they are all comfortable sharing the same spaces, sleeping dens and play areas. 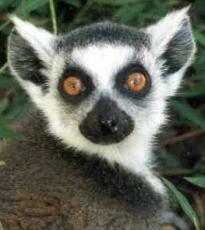 Our zookeepers will continue this process over the coming weeks." "The public response and support to Comet passing away and interest for Star’s future was enormous and we would like to thank everyone for their support. Star’s behaviour has been closely monitored by zookeeping staff and the decision was made to provide her with interaction from other bears. These new bears form part of a coordinated species management programme across Europe and meet with our current conservation, learning and research objectives." The Wildlife Centre is open daily from 10am to 3.30pm (last admission 2.45pm) up to the end of February then 10am to 4.30pm (last admission 3.45pm) from March 1, 2017. In some languages they are known as the 'tiny lion' because of the mane-like ruff of fur around their faces. Other names are 'pocket monkey' or 'finger monkey'.